It is no secret that healthcare recruiting has become exponentially competitive. However, with unemployment numbers dipping to new lows and an aging population awaiting to receive extended care, HR professionals may not only struggle to find qualified healthcare candidates but also strive to retain their top talent for years to come. Healthcare is now the largest employer in the United States. The increase in healthcare jobs comes primarily as a result of the aging Baby Boomer generation, further compounded by the expanded insurance coverage under the Affordable Care Act (ACA) and higher standards for care. Despite being the fastest growing industry, the supply of qualified healthcare workers is not expected to keep up with demand, which spells large-scale shortages in talent pools across the US. The largest projected workforce shortages will be in home health aides, nursing assistants and lab technicians. To become a home health aide—also referred to as “home care worker” or the “direct care” of the workforce—typically requires a high school diploma and so presents a lower barrier entry than other healthcare professions like nursing. However, the salary for home health aide workers remains a challenge. The median pay for home care workers currently sits at $11 an hour ($23,000 per year), so employers may need to start adding creative perks and incentives to attract more into the profession. 34% of organizations are increasing benefit packages to retain and attract talent. With unemployment as low as it is, employers must do everything they can to invest in their employer branding to win over talent. Nearly all hospitals in the United States now have social media presence. Shortages in talent will pose a number of recruiting challenges for healthcare organizations. In order to combat these shortages, fill positions and attract qualified healthcare professionals, HR leaders must employ innovative ways to reach active and passive job seekers and retain workers as best they can. Here are a few areas to consider. Source Beyond the Local Market: Mercer HPA notes that the talent shortages will affect states and counties at varying degrees. With that in mind, HR professionals can look to target from nearby regions with surpluses in those roles. 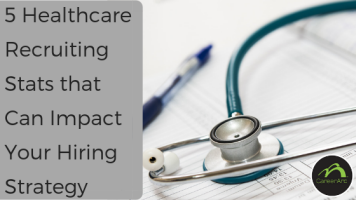 VON Canada found success in reaching credentialed healthcare talent across an expansive territory through geo-targeted social recruiting campaigns powered by CareerArc. This effort led to improvements in time-to-hire, cost-per-hire, and quality-of-hire. Reevaluate & Reinvest in Your Employment Offering and Benefits: Organizations can win over talent by taking a proactive approach and bolstering their total rewards programs. As many companies have seen, better benefits can serve as a great value proposition to prospective candidates and help mitigate turnover. Leverage Your Social Media Presence for Recruiting: With unemployment so low in the US, there is not enough qualified talent actively searching on the job boards. 84% of organizations utilize social media as part of their recruitment efforts. 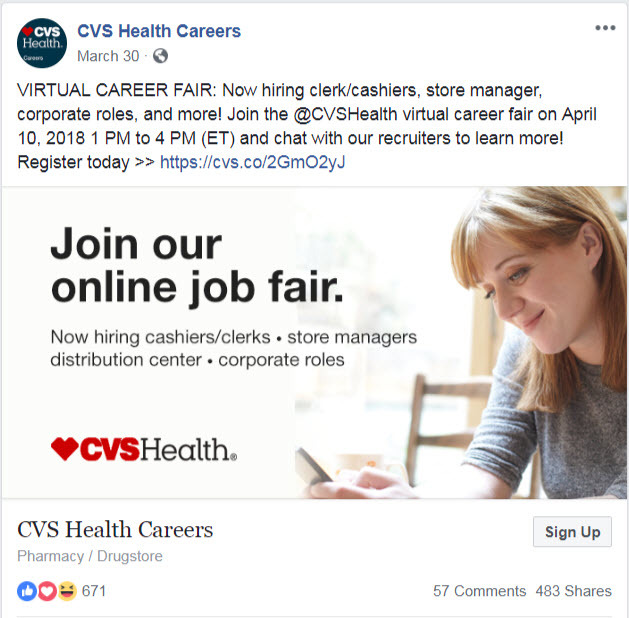 Healthcare companies that are competing in markets where active job candidates are particularly scarce, social media channels provide a way to reach passive candidates where they are spending most of their time online. 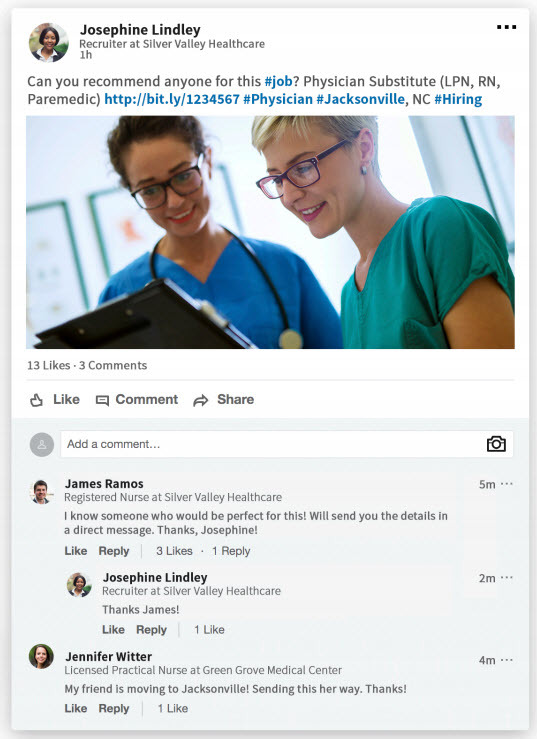 Social networks also open up opportunities for candidate referrals especially if your recruiters and hospital staff engage with or even publish your job posts and job related content. Lead With a Strong Employer Brand: In a competitive talent climate, attention is scarce, which makes establishing a compelling and memorable brand all the more important. In our recent Employer Branding Study, we surveyed over 1,100 professionals and found that only one-in-five candidates would apply to a one-star rated company. Take a brand audit and evaluate your talent reputation from a candidate’s point of view, comparing it with others in your local market. Prioritizing social recruiting and employer branding empowers firms to reach a candidate who may be gainfully employed elsewhere and compel them to join an organization that offers what they want – be it better benefits, opportunities to grow, or values that align better with them personally. Discover new tools and hacks that will help you tap into additional talent pipelines. Download and watch our Healthcare Sourcing Secrets: Finding Top Physician, Nursing, and Clinical Talent Through Social, Search, and Beyond webinar now. How are you staying ahead of the challenging demands of healthcare recruiting? 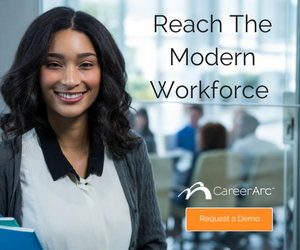 Learn how top healthcare companies are leveraging social media to showcase their employer brand with the help of CareerArc’s Social Recruiting solution. The healthcare industry is now the largest employer in America. Learn these must-know healthcare recruiting stats and facts that can improve your strategy.